Wolves and Horses have just taken part in a recent Cryo Chamber album, entitled Tomb of Seers, alongside Council of Nine, Alphaxone, and Xerxes the Dark. It was immediately obvious that this artist stood out from a lot of the current dark ambient musicians. 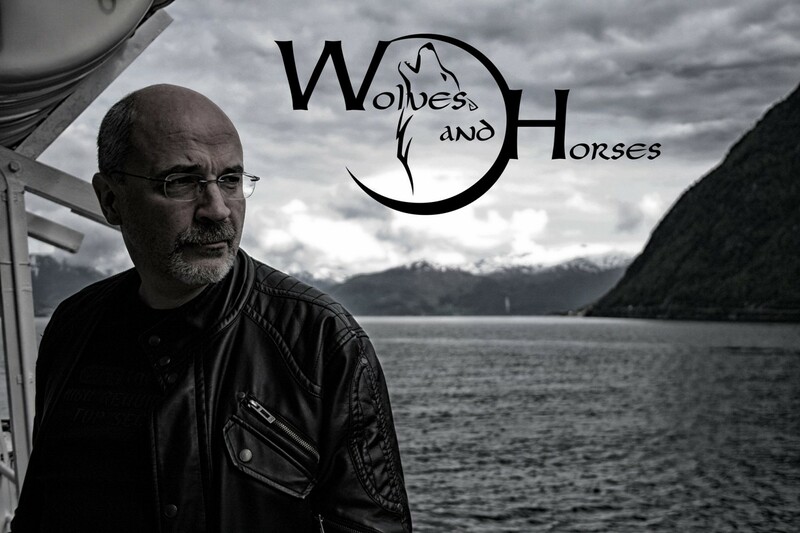 Wolves and Horses has a style that falls somewhere between ambient and dark ambient, or as Christian likes to call it “dark ethnic gothic ambient”. I was immediately curious about the background of this artist. A quick search led me to some of his previous works and they, too, were quite impressive. So, I did the only thing that made sense, get in touch with the man behind the music and ask him a few questions to illuminate myself and other fans on his story. I hope you will enjoy this read, the first of many interviews on This Is Darkness! Michael: Thanks so much for agreeing to speak with me, Christian! I must admit I was unaware of your project, Wolves and Horses, before you participated in the Tomb of Seers album on Cryo Chamber. For others, like myself, who may just be finding you for the first time, could you start with giving us a brief description of your sound and background? Christian Saint-Viteux: Well, it’s always a very difficult question, talking about my work. I try to create atmospheres and to share emotions. At the beginning of the project I used some synths, but they were too artificial, no warmth in them. Now I want to mix all kinds of sounds, all kinds of instruments. A mix of electronic and acoustic, and lots of manipulations, effects. It’s not important to me if a piano doesn’t sound like a piano anymore or a guitar like a guitar. I want it to sound exactly as I want it and sit in the mix. I’ve never been able to define exactly what kind of music I make. I would call it dark ethnic gothic ambient. I hope when you listen to my music, you get a movie or an image in your head and you feel, for a moment, as if in another world. My background is made up of years of listening to music, I have a huge record collection, and I was a radio DJ some years ago. I’ve been to countless concerts. Then I just wanted to make my own music. Just for the fun of it. I was pushed into into taking it more seriously by my wife, and then I met Christer Lunder at UAE Records and we published my first EP. I worked with him for the label, we made a project together, quite a classic route to take. Michael: I find your music to fall into a category, much like SiJ, which lies somewhere in the center, between light and dark ambient music. You have a touch of that new age sound, which I’ve loved since childhood, while you also can cross into territory which is obviously appropriate on places like Cryo Chamber. Do you make a conscious effort to go back and forth, traversing both territories? Or, is this natural for you? Christian Saint-Viteux: I don’t make a special effort to go anywhere, I’m simply following the sound. When I start a new track, I play/improvise with instruments and sounds that I manipulate till I find a sound that I think is interesting. Then I start to build the track and follow the atmosphere and the mood given by the sounds. Michael: How important are field recordings to the grand scheme of Wolves and Horses? Christian Saint-Viteux: Like any sound, it’s really important if it adds something to the sound, to the music. The final point is “Does it sounds good ? Do I like it ?” Because, the only way to make music, like any artistic work, is to make something you like and hope you’re not the only one. I’m not able to start a new track thinking: Now I will make something dark, or ambient or whatever. It doesn’t work like that. But, I use a lot of field recordings as a source for granular synths, so you don’t know it’s a field recording, but it is. Michael: Do you prefer digital or analog, when sound sculpting for a new album? Do you use a bit of each, or exclusively stick to one technique? Christian Saint-Viteux: Same thing, I don’t want to be stuck to one technique or another. It’s like closing a door for me. I just want to find the sound to communicate the emotion, the atmosphere. If it’s analog, virtual or acoustic doesn’t matter. The only point is: Is it the right sound, the sound I want here. Michael: Who are some of the artists that have made the biggest impact on your life and your music? Michael: How did you come in contact with Cryo Chamber? Christian Saint-Viteux: I don’t remember how and when but I have been listening to their artists for a long time now, Atrium Carceri, Northumbria, Ugasanie, Alphaxone. Michael: Has this latest album, Tomb of Seers, been your first collaboration with other artists? Christian Saint-Viteux: I knew Xerxes the Dark from the label UAE Records. I was involved in this label with my friend Christer and we were planning to release him on the label. Sadly, the label had to stop for different reasons. Xerxes introduced me to Mehdi, Alphaxone, I was really happy about that because I really like his music. Council of Nine was the last (but not least) to join the project. His track “Chimes of the Unfortunate” is one my favourite dark ambient tracks ever. So you can imagine how great it was to have him on board. Michael: How has your experience been working with Cryo Chamber on Tomb of Seers? Are you happy with the final product? Christian Saint-Viteux: How not to be happy ? Working on the project with these guys was a pleasure, I’m happy with Simon’s mastering and I think the end result is the album we wanted to make. So, yes, that was a good experience. Michael: Do you, personally, believe in the clairvoyant powers of a seer, or was this just an interesting topic to use for the album’s direction? Christian Saint-Viteux: Depends how you feel about seers. I don’t believe in a “magic power” of guys able to read the future in different signs. I think some people have a better vision of the world and its evolution and that they can see things coming more clearly than others. Michael: While on the topic of clairvoyance and the occult, do you have any specific rituals that you follow, when sitting down to work on an album? The use of incense, meditation, or something like this? Christian Saint-Viteux: Making music IS my ritual. Life is sometimes difficult and full of stress and fears, for you and for those close to you. When I start to work in the studio, it’s like closing the connections to the outside world for a while. It’s the best way for me to clear my head. The best way to be relaxed. Michael: What sort of instruments do you play? Are these all things that can be heard throughout your various albums, or are some of them left separated from your ambient career? Christian Saint-Viteux: Mainly keyboards but I also have a guitar, and a bass. I don’t pretend to be an excellent guitarist, of course, but it’s enough to record some lines that I can use in my tracks. Most of the sounds you hear in my music are made by manipulating sounds anyway. Michael: What are some things that inspire you? Places in nature, films, paintings, etc.? Christian Saint-Viteux: Books and paintings, no doubt. When I work on my music, I always have a story or an image in mind. 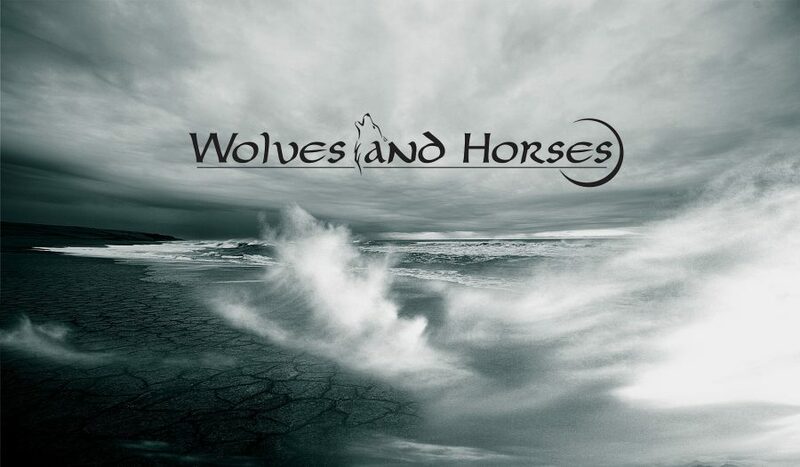 Michael: Is Wolves and Horses your only musical outlet, or do you have other projects? Christian Saint-Viteux: I also have the project First Falling Leaves with Christer Lunder. On hold right now, but we still hope to find the time to work on new music. I’m thinking about another project but it’s really fresh, just starting, I can’t say a lot about it right now. Michael: What can we expect in the near future from Wolves and Horses? Christian Saint-Viteux: I’m working on new dark ambient tracks. I would like to make a release with some visual artists, but it’s a long term project, no planning. I would like to find someone who could make some vocal improvisations (Lisa Gerrard style) for a couple of ideas I have. Michael: Do you believe that the apocalypse is coming? If so, how do you think it will happen? Christian Saint-Viteux: I hope not. But our world is changing, completely, our children will live in a totally different world, that’s for sure. I wish a better one but it’s not going in this direction for the moment. Michael: Are you a trained photographer, or is this a hobby of yours? 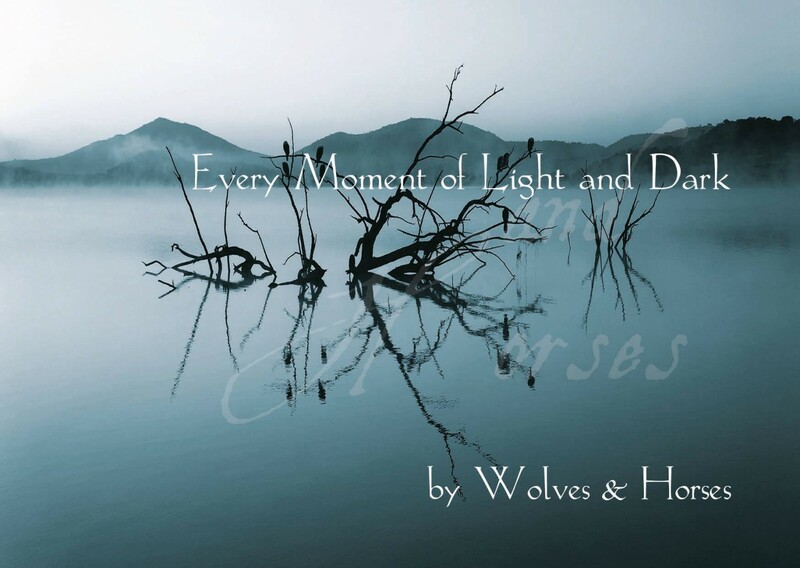 I absolutely love your album art for Every Moment of Light and Dark, which was released in 2015 on UAE Records. Christian Saint-Viteux: This is my second passion, I like to paint, sketch and play with pictures. I’m a big fan of digital painting. Matte painting in particular, I think it’s great to be able to create an imaginary world with only your imagination as a limit. I made some cover for UAE Records and some other artists and I really like that. So guys, if you need a cover…..
Michael: Does your home-country of Belgium have any sort of great influence on your music? Christian Saint-Viteux: Yes and no. I don’t feel I’m attached to a place. The world is full of nice places. And music shows me everyday that there are great people everywhere on this planet. I met very nice people from the UK, USA, Iran, Korea, Australia, Germany, Italy. I’m a world citizen. But Belgium has a huge culture of underground music. In this way, I think it had an influence on my own culture, on my connection with many genres, styles and origins. Michael: Thank you very much for your time, Christian. I will leave the last words to you! Christian Saint-Viteux: Thanks Michael. And to all your blog readers, I hope you will enjoy the album as much as I enjoyed making it.